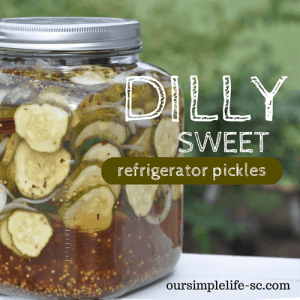 Are you new to canning? Do you want to jump right in so you can feel the satisfaction of seeing your pantry filled with all your hard work? Thank goodness I had a mother who I watched can from the time I could barely see over the counter to help me along the way. My mother canned out of pure necessity. With 4 small mouths to feed every ounce of food that came from the farm was put up to get us through those long and hard Pennsylvania winters. 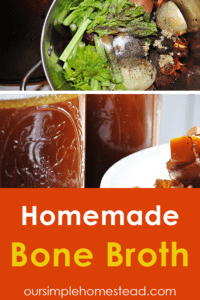 I grew up butchering hogs on the kitchen table, spending every waking hour in the summer weeding gardens and hauling firewood to keep warm…so home canning was just a part of life. 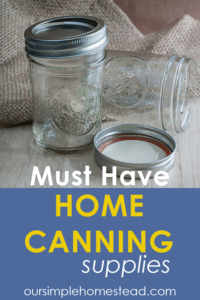 Not that I know everything…I am far from that and I still call my Mom for canning advise, but I have learned a few things that are not taught in the general home canning guide. So with that here are some tried and true canning tips I have learned over the past 40 years of my canning journey. 1. Read your recipe over and over again until you really know it. I normally start my canning days with a cup of coffee as I sit and go over my recipe one last time. When hands are wet and sticking from peeling fruit or vegetables the last thing you want to do is leaf through your cook book for last minute instructions. Start early in the morning before the sun even comes up. 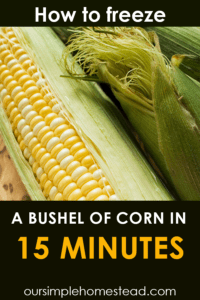 Since most canning is done in the summer and early fall the days are normally hot so start where a cool morning breeze can welcome you to your day ahead. 2. Start with a clean kitchen. If you have never canned before you will soon find out that with the satisfaction you get from preserving your own food, a big mess comes with it. Make sure your kitchen is all in order before even starting. 3. Gather your supplies. 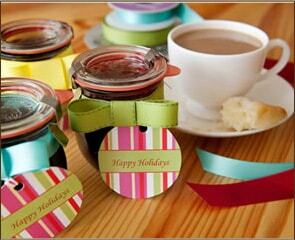 Each canning recipe may call for a different canning method but most jobs require the basic canning supplies. 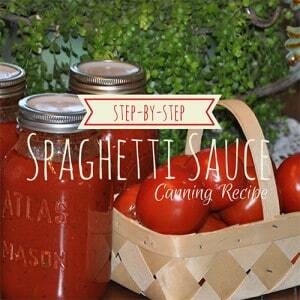 Go over your recipe and make sure you have all ingredients and tools you need for the canning process. If you are truly a newbie to canning visit this page for some canning beginner kits to get you started. 4. Get your jars washed and waiting in a handy spot. When the actual time comes for filling the jars you will want them within arm’s reach. When you’re busy stirring and measuring and it’s time to start filling jars you want them close by. 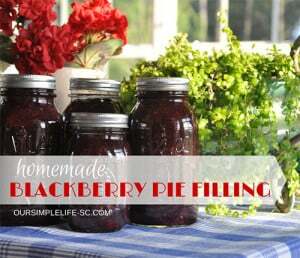 Whichever method you use for canning they all call for hot sterilized jars and lids so be sure they are all ready and waiting close together for that step. 5. Prepare your floors. As I mentioned before canning can be a messy job and no matter how neat and careful you are there are bound to be mishaps. I always line my area rugs up in a row in front of my sink and stove. While canning I am constantly traveling between the two with bowls and pots just dripping with whatever I am canning. The rugs always need washed afterwards but it saves me from slipping and falling on a wet sticky spill. 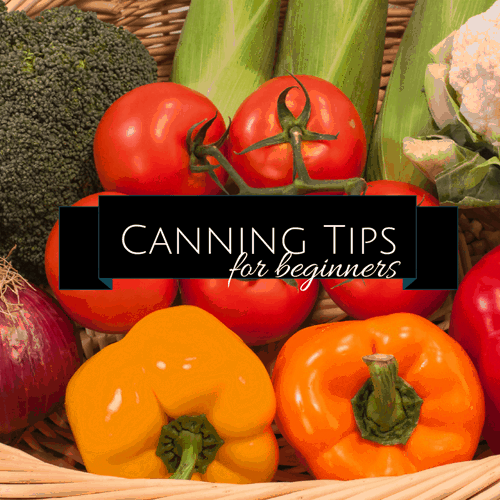 6. Review the complete list of canning supplies. 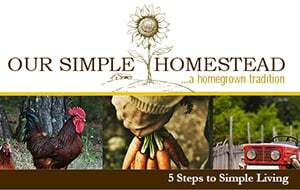 If you are new to canning don’t feel you have to go out and buy everything new. Watch for yard sales and pickup one piece at a time, or better yet go in and share supplies with a friend. Canning is such a rewarding job that I am sure once you get started you will thrive to learn more and more every year…the old fashion way…through trial and error. 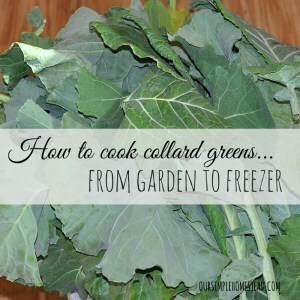 Some recipes will live on and on in your family for years while others may never be used again but whatever you try the joy that comes from seeing your pantry fill with healthy choices for your family is so worth the job! Lookin good! I love to can too and have been very busy at it this summer. You are so right about the floor getting messy. Loved your idea of the rug that can just be tossed in the washer after canning. I did try canning out on my deck with a propane cooker and this cut my time almost in half. My kitchen stove was not made for canning…can get the heat high enough. Will be canning outisde more often! Have fun! Hi, I’m new to canning and it is wonderful so far. I have a question/problem! I canned cucumbers to make pickles and they sealed but its been 3 days and the tops are bulging! Not the normal little ring but the WHOLE top. What do I need to do and why is it doing that!? There could be a few different reasons why your lids are bulging. Can you give me a little more details? How did you process them…and how full did you fill them with the brine? 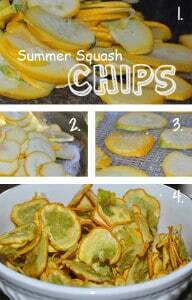 Next year I hope to try canning. Its very intimidating for someone who has never done it. I have visions of poisoning my husband and myself! Hi Tracy, my wife and I are new to canning. we have run into a problem and are hoping that you may be able to help. we recently made peach and strawberry jam, the problem we ran into is that it is still runny, it did not gel very well. do you have any thought or tips that may help? I have had that problem before and it is fixable. Sometimes it is as simple as you didn’t cook it long enough. If you let your jars cool for at least 48 hours and your jelly is still runny you can open the jars back up and fix them. Pour the jelly back into a large stock pot and whisk in a table spoon of pectin. Cook until the jelly is visibly thickened. Then you can process it again as you did the first time. You probably didn’t do anything wrong and most likely it is more about the lack of natural pectin in your fruit. Peach jam is known to need more pectin to thicken properly. Give my trick a try!